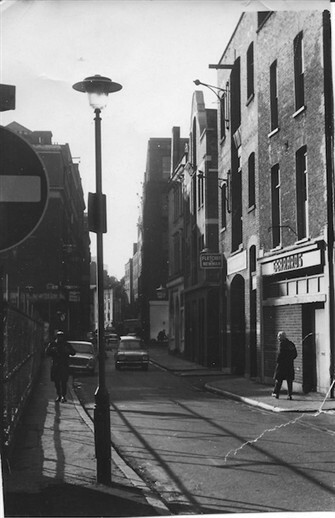 Shelton Street in the early 80s, traffic running towards Endell Street. 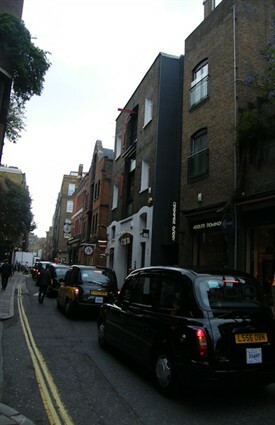 Shelton Street today - 'wall to wall taxis'. Having set up their business in Great Queen Street in 1978, Jessica Skippon and her husband moved above the office in 1979. 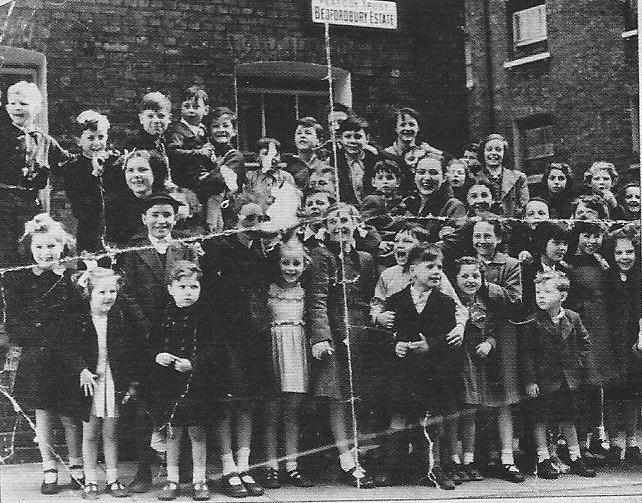 They stayed there for 5 years, before moving to Shelton Street, bringing with them their four children, and ‘two dogs and three cats, or maybe it was three dogs and two cats!’. They have remained in Shelton Street for the last 28 years, although their animals are now fewer, and their children have all grown up. 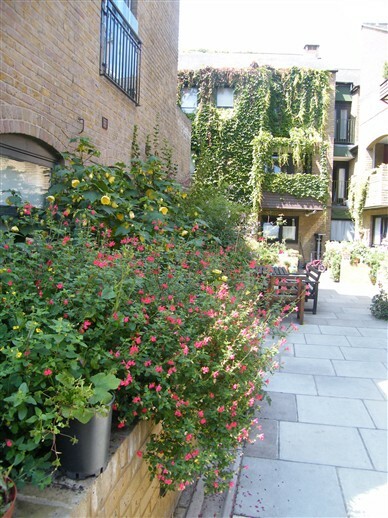 A founder member of the Covent Garden Tenants’ Association, and committed campaigner, Jessica seemingly knows everybody in the area, especially those neighbours whom she has lived with for many years. In the hubbub of the Seven Dials Community Centre on this pleasant May evening, she speaks candidly; laughs often as she recounts her memories of her campaigning and everyday life in Covent Garden, giving a real insight into what it is like to live in such a vibrant and changeable area over many years. The Skippon-Cook family were living in Battersea when the construction work to redevelop Covent Garden was taking place in the late 70s. It was Jessica’s job as a video director and producer which bought her to the area: the company run by her and her husband, based in Great Queen Street, was commissioned by developers Taylor Woodrow to film the work they were doing on the new market. Scandal affecting her landlord in Battersea – ‘he was having an affair with his secretary! … and so we had to get out of the house’ – led Jessica to move her family across the river, across several postcodes, and into the flat above their Great Queen Street office. Jessica chuckles as she remembers her son returning from school in the first week after their move, as ‘he wouldn’t tell his friends that he lived in Covent Garden because it was such a dump! Moving from Battersea to Covent Garden!’. 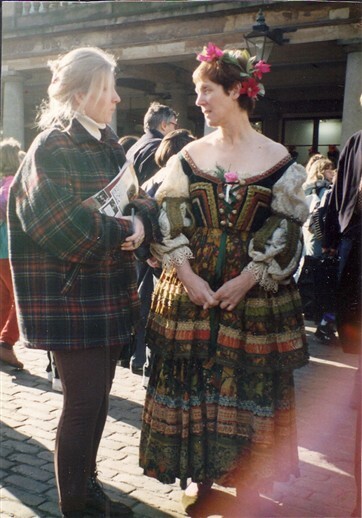 I suggest that people perhaps don’t realise that Covent Garden hasn’t always been the shopping hub of the West End, and she agrees, ‘it was very different, very, very different’, there was a ‘pen shop which sold nibs, a French horn shop. They were just lovely, just little quirky shops’, and of course, much fewer privately owned flats. Jessica shows me a photograph of Shelton Street in the late seventies, and a photo of the same street today. The difference is marked: the old street is quiet, with discreet street signs for small shops; whilst the new photograph shows ‘wall to wall taxis’, a ubiquitous chain take-away, clothing store signage, and a busy pavement. Still, despite Covent Garden not being the tourist magnet that it is now, demand for social housing was high. She remembers her first trip to the Covent Garden Community Association, when she introduced herself and her desire to live in the area. A lady behind the CGCA waved her away with ‘everybody wants to live here, you’ll never live here’, and Jessica laughs, ‘so every day I think – ha ha!’ and jokingly shakes her fist. Because, of course, they did get their flat, and outgrowing the Great Queen Street office flat, Jessica’s family moved into a new flat on Shelton Street and a new office in Drury Lane. It was at Shelton Street that Jessica and her husband, Tom, found their place in the local community. Tom became vice chair of the CGCA by 1981/2, but Jessica notes that she herself didn’t get involved so much at first, as she was busy working. 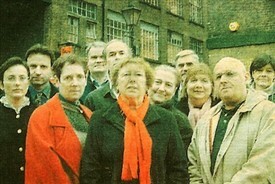 Then around 1987, the London Residuary Body replaced the GLC, and were tasked with re-finding landlords for the social housing in Covent Garden. Residents were asked to help choose the landlord – from a selection of different local councils and housing associations – and Jessica came forward to be Chair of the Residents’ Association. It was an uncertain time for the residents. After much deliberation, they chose a new landlord: but their trust was somewhat betrayed. Jessica remembers a neighbour overheard a housing association officer at a meeting saying ‘they don’t know what they’ve got in store for them, do they?’. And indeed, the tenants put faith in their new housing managers, but ‘when we joined them, they raised our rent by a factor of three… £30 per week to £90!’. Understandably outraged, they formed a tenants’ association to fight against St Pancras Housing Association’s huge rent hikes, with Jessica taking the helm as Chair. She brought on board Nick Raynsford, later a Junior Housing Minister in parliament, to act as their advisor in negotiating with St Pancras. After years of to-ing and fro-ing, Jessica remembers it was a fellow tenant who came up with the most radical idea to help tackle the problem of rising rents. Jessica recounts: ‘I think it was Kitty Driscoll… [she said] “I read this article about these people up North who formed – well they manage their own properties. Why don’t we do that?”’. The idea was a popular one, and Jessica worked hard with the other members of the Association to finally form, in 1995, the ‘first Tenant Co-op in the country for twenty years’. The Co-op looked after 85 properties at first, although ’30 have now gone in the right to buy’, and it dealt with rent collection, neighbour disputes, maintaining the plumbing and electricity, and managing mice; ‘I love mice’, Jessica grins wickedly. I certainly wouldn’t want to be a mouse in her block! Jessica has also been involved in campaigns affecting the wider community outside her flats. She tells me about the ‘ridiculous plans’ which were considered for the central market: ‘they were going to have a theme park alongside the Opera House!’, which would have involved tearing down the floral hall. Jessica’s ‘biggest cheer’ is saving the floral hall building in particular. She ponders now how the building has become ‘their icon, it’s what they use to illustrate the Opera House’: it’s unimaginable to think that it was once at risk. ‘Overdevelopment’, and ‘scale and character’ are what Jessica wants to fight against, and preserve, respectively. According to her, ‘The ugliest building in Covent Garden’, is 90 Long Acre, which is a prime example such bad overdevelopment: with its looming concrete façade. Jessica remembers seeing the plans before it was built, ‘in their designs they had hanging flowers, green coming off the balconies’, and she sighs noting that ‘they never did that!’. It remains quite the eyesore. And it’s not the only development that Jessica has to put up with day to day: ‘everybody wants an alcohol license, everybody wants to be 24 hours’, and new shops are constantly coming in and refitting. ‘Over every shop there are people living’, Jessica reminds me, and I admit, sometimes when you’re enjoying the cool shops and late-opening bars, it’s easy to forget that people are raising families, sleeping, or simply carrying out their day-to-day activities – such as just getting a pint of milk in the morning, something which is hard to find amongst the ‘soap and make up shops’. At the moment, Jessica’s working on a campaign to stop the ‘rat run’ on Shelton Street, and has recently convinced the council to change the paving to make the area more accessibly for mobility scooters. ‘The people do listen to us’, she says, referring to the local council, and such a feeling of tireless energy radiates from her, it is understandable how she has managed to keep affecting so much positive change over the years. She also suggests the success of the various community-run associations fighting against over-development over the years is a ‘legacy of the 1970s’, people wanted to take things into their own hands, and have kept it up. But not all development in Covent Garden is bad in Jessica’s eyes, which seems to be a common belief amongst residents: they do not rally against any development full stop, but get behind ones they see can benefit the community. And although the fact that much social housing was sold off to private owners over the years means that ‘there’s a big turnover’ of wealthy international second-home owners in the area (and ‘we don’t get to see many of them’), she is points out that this is not the case for ‘our people: my tenants tend to die in order to leave!’. Furthermore, she explains that most residents ‘we’re quite good actually about supporting the businesses and supporting the tourists. If somebody looks lost we go up and say ‘can I help you?’. Furthermore, Jessica’s own building is her favourite in Covent Garden; it is a block which was built during the big redevelopments in the 1980s. Opposite them on Shelton Street is Odham’s Walk ‘built on the idea of an American-Indian village, so every four flats face each other’, and everyone has access to communal courtyards, which helps create a wonderful sense of community. ‘It’s one of the really lovely things, we do have a neighbourhood, we do know each other when we leave the house, [there are] lots and lots of people you can talk to’. Indeed, whilst she notes that the Seven Dials Club isn’t as busy as it used to be, there are still pockets of vibrant community life. Jessica tells me that through Camden Council, the St Giles’ developers gave money to the Seven Dials Club itself, the Seven Dials Trust, and various other community projects. Another project which residents organise is ‘Art in the Garden… an art exhibition by people who live and work in Covent Garden… we have painting done by our local librarian, our big issue seller’, and other neighbours. She laughs remembering how a friend was revealed as a secret artist at the last event, ‘nobody knew that Kate drew and she bought in her sketchbook and we were all like ‘wow!’’. Despite the years of campaigning and dealing with bureaucracy, Jessica’s memories of her many years in Covent Garden are full of such happy anecdotes. She remembers when she first arrived ‘I used to go to the Drury Lane theatre, my favourite show was A Chorus Line… you’d buy a £2 ticket for the balcony, but because there is a ghost who may show himself during matinees, they’d put you in the stalls. So if I had a free Wednesday afternoon I’d go scooting off!’. I ask whether the theatre is still haunted and Jessica chuckles, ‘ghosts don’t leave!’. The Phoenix Garden too is important for Jessica, and she implores me ‘you must go see it, it’s beautiful… It’s got full grown banana trees, a frog pond, birds’, and often hosts gardening workshops and classes run by the locals. Last summer, Jessica remembers, ‘we’d come away with pots of salad, things to put on the windowsill’. But the best thing about living in Covent Garden according to Jessica is not the buildings, the gardens, or the theatre: but the people. She talks of how ‘you really see your neighbours’ children growing up’, which creates a strong feeling of community. And she has fond memories of her own children, and grandchildren, growing up in the area too. 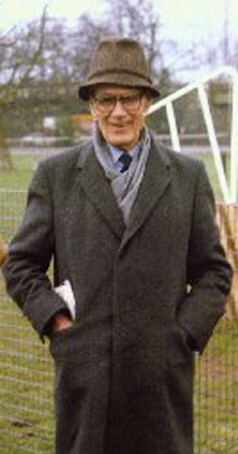 Her daughter attended St Clement Danes School, and later her grandson, and she cannot praise the school enough: ‘The kids do such interesting things’, ‘when my daughter was there, they didn’t correct her spelling… because they said it would interrupt her flow!’. Her daughter now runs film festivals and writes proposals for a living – her St Clement Danes obviously helped her along her creative path. Perhaps surprisingly, Jessica summarises what it was like to raise children in central London with an offhand ‘it was safe’: she never worried about her daughter getting to and from school, from 9 years old she could take the bus to Chelsea, and from 11 she was getting the underground to Hammersmith. She thinks it a shame that ‘the biggest danger now is cars… children have just lost their freedom’, and this fact is one of the key influences which drive her campaigning now, as I mentioned above, keeping traffic to a minimum in the area is a top concern. Talking to Jessica, her passion for the area, and for the people, is incredibly clear, and I don’t doubt that more ‘cheers’, more gains for locals – young and old – will be driven by her! Settling in Covent Garden, Jessica broke what had been a habit of a lifetime, ‘we would move every year’, before they arrived. I finish the interview asking what she would miss if she had to leave, and she throws her arms in the air, shaking her head. ‘No, no, no!’, she exclaims, ‘the people of Covent Garden’ keep her here, and she cannot entertain the idea of ever leaving for anywhere else. This interview was conducted as part of the Lottery Heritage Fund project, ‘Gentleman We’ve Had Enough: The Story of the Battle to Save Covent Garden’. On Friday 10 May 2013, King’s College London students, supported by Westminster Archives, the Covent Garden Community Association, and the Centre for Life-Writing Research at King’s College London, interviewed Covent Garden residents about their memories of the area. Students’ accounts of their interviews have been added to this Covent Garden Memories website. For more information, see:www.kcl.ac.uk/artshums/ahri/centres/lifewriting/gentlemen.aspx. This page was added by Francesca Allfrey on 08/07/2013.